Once considered a parasite of southern climates, the heartworm (Dirofilaria immitis) is now recognized as a major global pest not only affecting dogs, but cats and other wild canids as well. As these parasites become more prevalent in the animal world, the veterinary world is following quickly behind, coming up with ways to treat and prevent the disease before serious problems arise. --HOW IS HEARTWORM DISEASE SPREAD? 1. The cycle begins when a mosquito bites a heartworm-infected animal and picks up microfilariae, which are immature heartworms that circulate in the infected animal's bloodstream. 2. During the next two to three weeks, the microfilariae develop into infective larvae within the mosquito. 3. When the mosquito feeds again, it will transmit the infective larvae into a healthy animal. The larvae develop into adult heartworms over the next 6-9 months while migrating to the animal's heart. 4. Once inside the animal's heart, the adult worms can grow up to 14 inches long and can cause significant damage to the lungs. Heartworm disease is relative to the number of worms in an infected carrier. The greater number of worms, the worse the disease. The parasites can cause respiratory and cardiac issues, with other symptoms being coughing, exercise intolerance and eventually congestive heart failure. 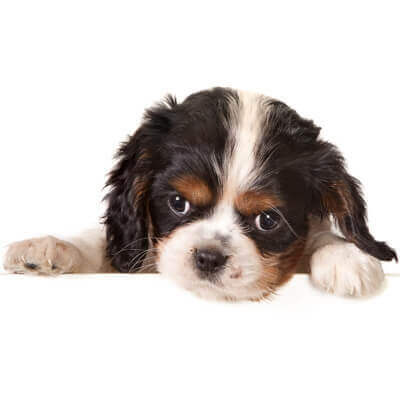 --CAN HEARTWORM DISEASE BE TREATED? YES! Once thought of as an extremely risky procedure, advanced research in treatment protocol has decreased the risk of treatment and increased the instance of recovery. To be straightforward, an animal living with adult heartworms and being untreated, is going to meet death at one point. It may be unexpectedly and the decline may be rapid, but it is a seemingly painful occurrance for pet and owner alike. Much easier than the treatment is the PREVENTATIVE aspect of the disease. A monthly pill, such as Interceptor or Heartgard, aids in the prevention of heartworm disease. It is recommended year-round, not just in the warmer months, because even though mosquitos may virtually disappear in the colder months, the weather changes rapidly, and it only take ONE infected mosquito to transmit the disease; so why take the risk?! Before any licensed veterinarian will dispense either of these heartworm preventatives, a heartworm test is required, for the main purpose that giving heartworm preventatives to an infected animal will kill them quicker than it would an untreated dog, due to the ingredients in the preventatives counteracting with the parasites themselves. The heartworm combo tests only require 3 drops of blood from your animal and only takes 7-8 minutes to run; a small sacrifice for years of your animal's life. YES!! Cats are not a "natural" host for heartworms as are canids, and they have a greater resistance to heartworm infection. Their immune system is extremely strong and greatly reduces the number of larvae that can reach and infect the heart. Cats, however, are very suseptible to very small amounts of the adult heartworms and do become infected more than people care to think. There are significant differences in the reation to infection and symptoms in cats and dogs. Cats tend to develop illness, or show signs similar to illness, in their lungs and other airways. Cats have often been misdiagnosed with other respiratory illnesses when the main cause is actually heartworms and/or heartworm-associated respiratory disease. Heartworms in cats has been diagnosed in all 50 states and is beginning to emerge more than the veterinary community had previously thought. Specific treatment is available for cats with each treatment varying with the cat's age, health and severity of the disease. As in dogs, heartworm preventative is available for cats, with Revolution being one of the leading brands. Preventatives should be used monthly and a majority of them treat for other parasites as well. Never underestimate the strength of one mosquito or dismiss the thought of heartworm preventatives due to weather or the fact that your animal may be strictly indoors. Remember, once a door or window is open, there's no controlling what comes in or who goes out. 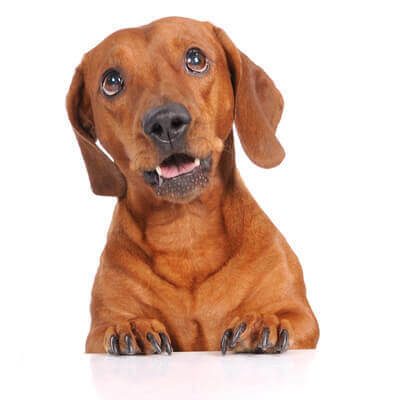 With dedication to your pet and the help of your veterinary staff, we can prevent heartworm problems before they become a reality in your life. Ask our staff about how to get your pets tested and put on heartworm preventative and sleep at night with one less worry on your mind.